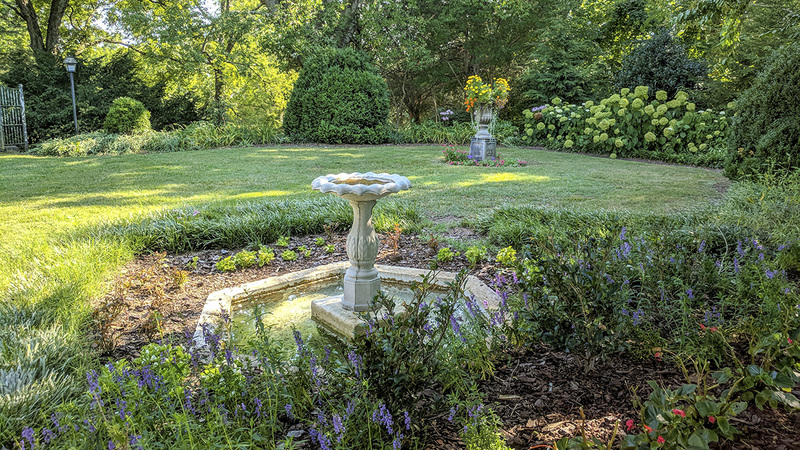 Built beside a bend in the Stones River and shrouded by trees from the busy Lebanon Pike to the south, the Stone Hall estate was designed in 1918 by local architect George Waller for the Cantrell family. 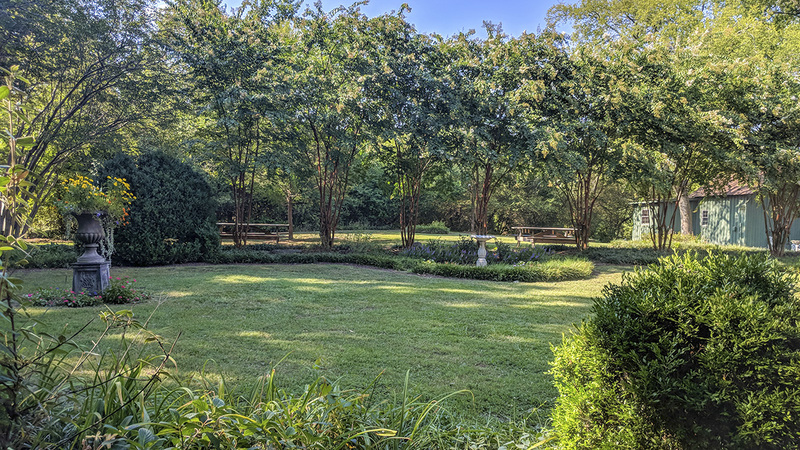 Occupying twelve acres, the property serves as the setting for the two-story Colonial Revival-style mansion built for Dempsey Weaver Cantrell, founder of the Southern Woodenware Company, and his wife, Nora Johnson Cantrell, a well-known poet. 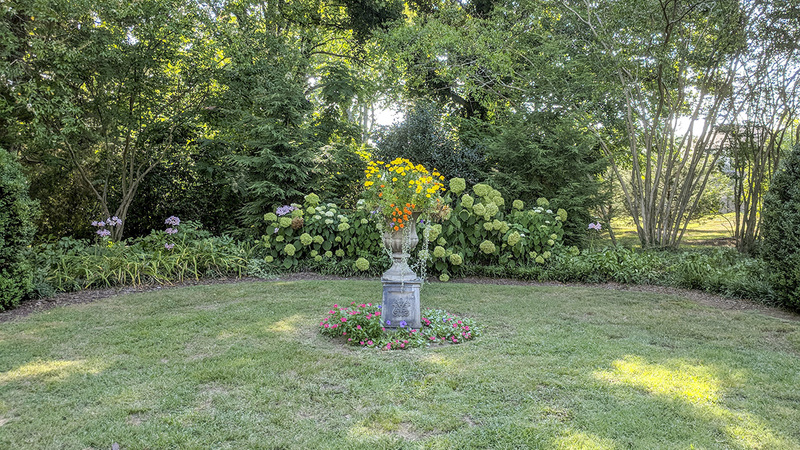 Entered from the south via Stones River Road, the grounds are encircled by a thick hedge of yellow poplars, oaks, and evergreens, giving way to a heart-shaped driveway that circles in front of the mansion. 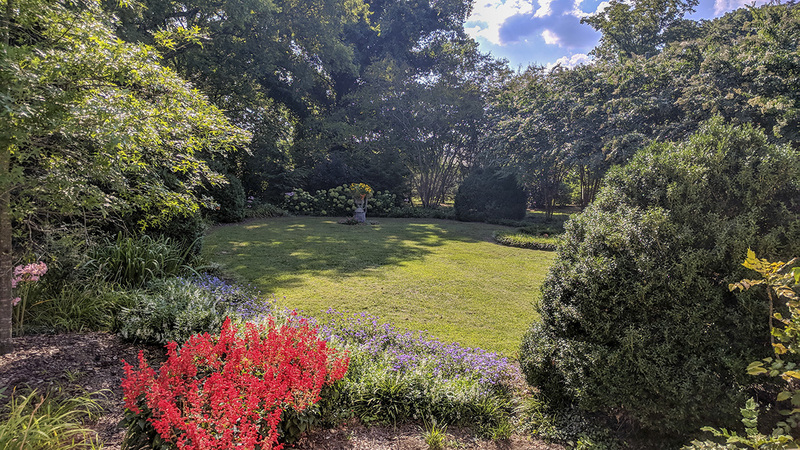 While most of the property is characterized by a picturesque landscape dotted with stands of mature trees, a formal garden is located to the north of the mansion and is planted with a variety of herbaceous annuals and perennials, in addition to ornamental grasses, crape myrtle, and evergreens. 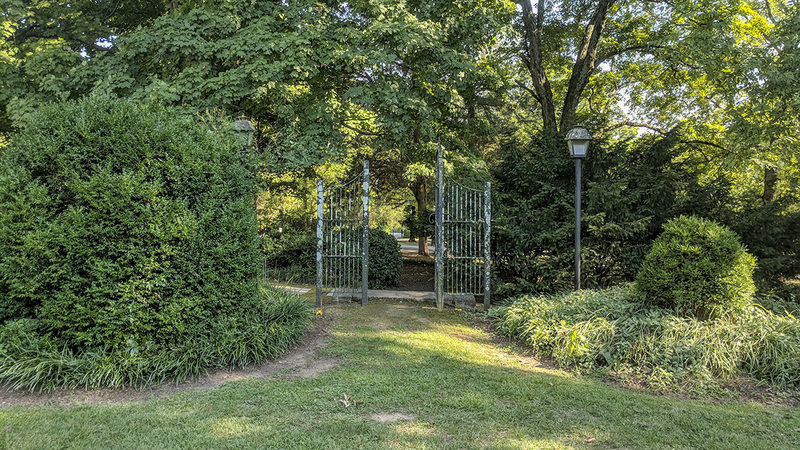 More than 40 species of trees, flowers, and shrubs are present, many of which were introduced by Waller. 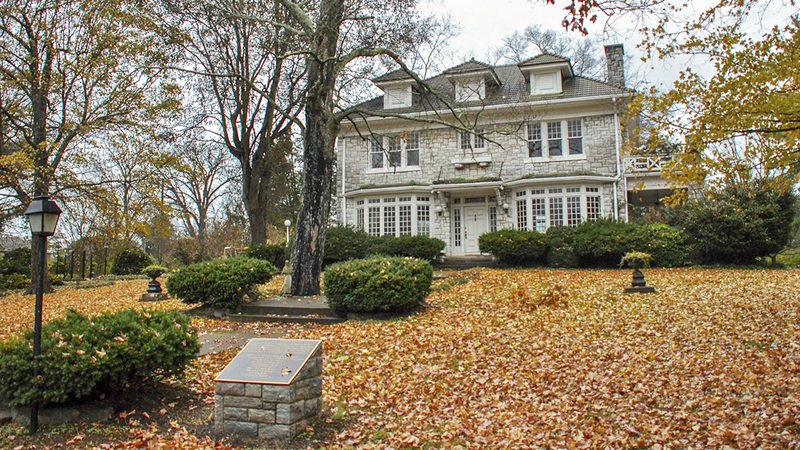 A three-story log cabin (known as Eversong) was moved to the property in the 1930s to serve as a retreat for Mrs. Cantrell to write her poetry. 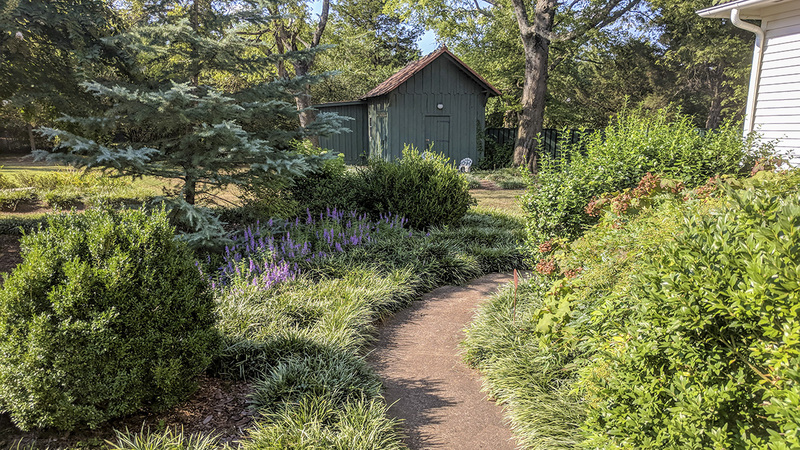 The cabin lies just south of the Stones River Greenway, a paved hiking trail that meanders along the Stones River, framed by large-canopy trees. 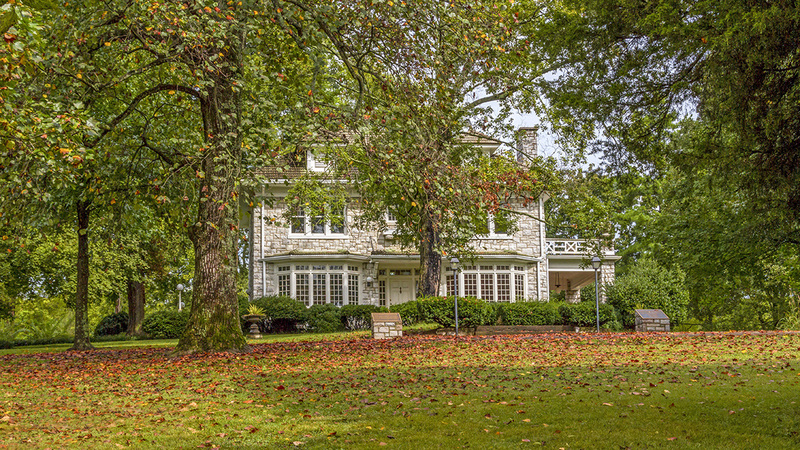 The Stone Hall property was acquired by the City of Nashville in 2007, and the mansion was listed in the National Register of Historic Places in 2010.